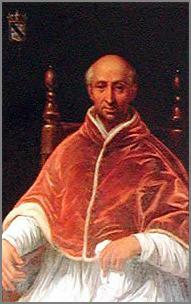 The free-spending Clement VII introduced indulgences, which could be sold without limit because they drew upon an “inexhaustible” spiritual treasury to which only he had access. The Vatican pilgrimage industry combines two financially brilliant ideas. The first was the “indulgence”, the notion that the punishment for sin meted put in another world could be lessened by penances, often in the form of pilgrimages. The second idea was the conversion of convents into hotels in order to exploit an Italian tax exemptions for the lodgings of the clergy. Combining these, the Church sends sinners to do penance in its own tax exempt hotels — a seamless web of theology and profit. In 1343 Pope Clement VI came up with an idea which was to prove highly profitable for the Church: that the blood of Christ provided the pope with an inexhaustible Treasury of Merit which he could use to mitigate the penalties for sin. Clement claimed that this Treasury was meant for the “remission of the temporal punishment due to sin”  — “temporal” because it was intended to reduce or eliminate the tortures of Purgatory, as opposed to those of Hell, which are, of course, “eternal”. Without further ado Clement drew in person upon this inexhaustible Treasury of Merit, to issue pardons as he pleased — but naturally the rest of Christendom lacked his direct access. If you weren’t the pope, you had to earn your share by saying prayers or performing other acts of penance such as going on a pilgrimage. Luckily, however, another option was available: the payment of money. You calculated the cost of the pilgrimage prescribed for penance and then bought an indulgence from the Church to cover it. The receipt you got for the performance of the penance or for the payment accepted as a substitute was called a “letter of indulgence”. These were so popular that after William Caxton had learned the art of printing in Germany, the very first item he printed on his return to England in 1476 was a letter of indulgence. It was sold by John, Abbot of Abingdon, who authenticated it with his red wax seal. The proceeds, after the abbot’s commission, were to go “for promoting the war against the Turks”. However, although the Turks had taken Constantinople more than twenty years before, no war had yet been launched, nor would it be, and the gold flowed instead into the coffers of the pope. The inscription in Santa Maria Maggiore in Rome, whose original patron was Pope Liberius, reads as follows: John XXIII, Pope, 4th April, 1960, has honoured this partiarchal Liberian basilica with the permanent privilege of as many complete remissions [of sins] as there are [financial] gains from Christians entering piously into this same basilica, who having been sacramentally confessed and having been restored with the sacred Mass, have poured forth prayers for the soul of the Pontiff. Printed letters of indulgence took the form of ready-made receipts with a space left for the name of the purchasers. Printing, rather than writing out these certificates, meant savings for the Church. It’s been estimated that a printer with a single press could produce nearly a thousand indulgences a day. Yet, although the new printing presses cut Church costs initially, in the long run they weakened clerical power by taking the production of books out of the hands of the monks and making them cheap enough for laymen to own. This, in turn, encouraged laymen to learn to read, and then could see for themselves what the Bible said, which lesssened their dependency on priests..
Furtthermore, the indulgences themselves had a boomerang effect. They shocked Martin Luther, who rebelled against the idea that your stay in Purgatory could be circumvented by cash. After the Reformation, the Church hastened to remove the direct payment option and downplayed indulgences for several centuries. However, it didn’t last. In 1960 an inscription appeared in a papal basilica in Rome which once again publically offered indulgences. It solicited prayers for Pope John XXIII and income for the church. And apparently the monks themselves thought likewise. The abbot, a flamboyant former fashion designer, organised religious dances by the nuns. However, the Psalms notwithstanding, this form of worship (scroll to 4:30) diverged too much from the Pope’s favourite Latin Mass. 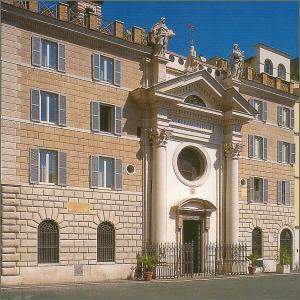 Finally in May 2011, citing (among other “abuses”) problems with liturgy, the Vatican had the monastery closed down. However,the attached church remains open, which guarantees continued tax rebates for the “holy hotel”. The Vatican is able to undercut the competition through a law passed in 1992. True, the concordat of 1984, allows the commercial activities of religious institutions to be taxed (Article 7.3), but the 1992 law extends the exemption to all buildings “not exclusively of commercial use”. Oddly enough the Church does not invoke the concordat in this case. Concordats seem to be there to enforce minimum demands — but whenever it becomes politically possible, national legislation can quietly extend the privileges even further. Since John Paul II’s resumption of papal indulgences his successor, Benedict XVI, has already issued three more. Unlike the Jubilee Indulgence, whose main destination was in Italy, the latest one, announced in November 2007, is focussed on a shrine in France: “the Supreme Pontiff Benedict XVI has generously decreed that the gift of a Plenary Indulgence be granted” to commemorate the 150th anniversary of the appearance of the Virgin at Lourdes. In other words, make a pilgrimage to Lourdes this year and you should get enough Merit to keep you out of Purgatory — at least, if you expire before committing any further sins. In the comments section, an Italian reader quotes the beginning of Psalm 92.1-4. Others are praise worship through dancing: Psalm 30.11 and Psalm 149.3. 8. “Decree according to which is granted a daily Plenary Indulgence on the 150th Anniversary of the Apparition of the Blessed Virgin Mary at Lourdes”, 21 November 2007. 9. “Number drop good news for visitors ahead of JPII beatification”, AFP, 30 March 2011.